Home › FAQ › How Can You Specialize a Sociology Degree? With a number of options for how to specialize a sociology degree, future professionals in this area can pursue completion of a degree program that will help to prepare them for various positions in all types of industries. The focus of sociology on study of society, human interaction, and community relationships creates exciting and rewarding possibilities in practically every career field. To begin a sociology program at the undergraduate level, completion of general education requirements must be fulfilled. This includes taking courses in basic composition, science, and mathematics in order to prepare for the more advanced and subject specific content of course work in the sociology major. Students complete courses that help to develop skills in collection and analysis of data, integration of theory into practical application, and evaluating empirical research and statistical analysis. There are a number of courses that undergraduate students will complete in the core sociology curriculum. Classes are likely to include introduction to sociology, research methods, quantitative analysis, sociological theory, social problems, and social movements. Students also often complete field observations, internships, and capstone projects. Because of the nature of a sociology degree, many of the possibilities for concentrating a degree in a specific area will focus on the relationships that people build in various situations. Some specializations in these areas include urban sociology, community sociology, sociology and the family, and migration studies in sociology. Specialized course work relevant to these areas of sociology include cultural and racial studies, demographic analysis, family sociological research, structural family inequalities, social networks in urban settings, and conservation of communities. 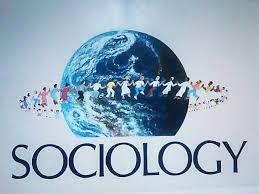 Another possibility for specializing in a specific area of sociology is to study environmental sociology. Course work in this concentration includes study of topics such as social transformation and animals, risk and society, farming science and technology, and rural environmental studies. This specialization might also lead to focusing on specific areas such as environmental toxicology, ethics in development, food and farming, or animal studies. The study of crime is another area in which sociology majors might choose to specialize a degree program. Sociology graduates with a concentration in criminology or criminal justice might pursue positions such in social services, corrections, or law enforcement after completion of a degree. Course work to prepare for positions in these areas include urban sociology, legal forensics, power structures in American society, American constitutional law, study of the criminal mind, and forensic science. Depending on the specialization, sociology graduates have many opportunities for finding rewarding positions in the workforce after graduation. In addition to the possibilities open for working within the criminal justice system, sociology professionals work in education, government research and social services agencies, and consulting firms. Additional information on career possibilities by specialized area can be found at the American Sociological Association website. Sociology offers future professionals the ability to research, plan, and develop programs to enhance the relationships of people with one another, society, and the environment. With consideration of how to specialize a sociology degree to best fit future goals, an interesting and fulfilling career can be found to support people and communities all areas of sociology.